One of those OMG moments ! Every now and again we try a new bit of kit to see if we can improve on our already capable top end system. Little by little we push the bar higher, but every now and then something very significant comes along. 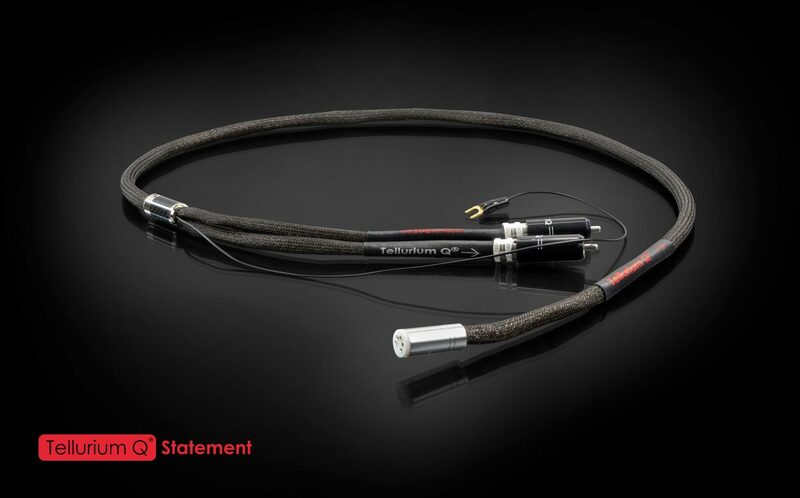 KOG audio told us about a new Tellurium Q cable that goes from the DIN output socket on a record deck to a couple of RCA (Phono) plugs. Part of their Statement range, at an eye watering £3600, we thought we’d try one to see if it justified its price tag. Plugging it into our smart new Technics SL1000R direct drive record deck (not to be confused by previous models of the SP10 / SL1000 – this is a whole new ball game), via a Lehmann Audio Decade pre-amp, into the 500 series Naim system with the gorgeous Focal Scala Utopia speakers. It took about 5 seconds to realise it had transformed the whole system into something so special, I haven’t heard anything as good, anywhere, at any time, for any price ! To say that the soundstage filled the room is a cliche understatement. There was ambience (echo, room reverb) from the original recordings coming from behind me and all around the room. Images of instruments were convincingly focussed in 3 dimensional space, and the lack of clutter revealed another layer of instruments that previously had been masked. Musically it was more engaging, with improved timing and sense of rhythm. So, how does it now compare with our top spec. Klimax LP12 ? Well, you’ll have to come along and listen for yourself ! See our events pages for our Vinyl Day and Utopian evening of Music !